Bhubaneswar: PCC president, Niranja Patnaik on Sunday held meetings with party MLAs, leaders of student, youth and women wings and Seva Dal separately at the Congress Bhawan here on Sunday. He called upon all to work together to strengthen the Congress in the State and to work for interest of people of the State. “The Congress will grow and Odisha will prosper. With this motto, party leaders will work united with all energy,” said Patnaik. 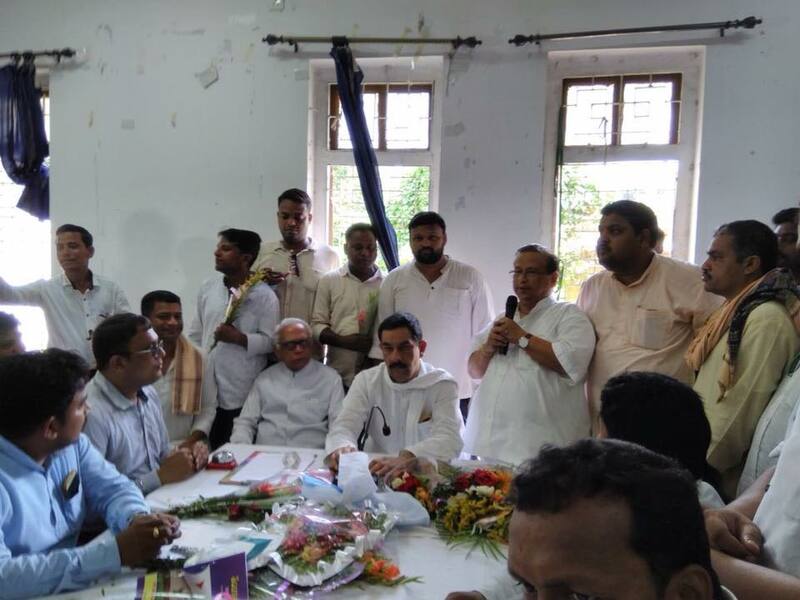 All MLAs, including Leader of Opposition Narasingha Mishra, were present at the meeting of the party legislators. Besides, Patnaik too held a meeting with district presidents. AICC Odisha-in-charge Jitendra Singh and other senior leaders of the party were present in all these meetings.